Yoshitada, Fujita Yoshitada, and Jyu sense Yoshitada. by Syakudo nanako ji plat. He learned a lot from his master. From Aoi Bijyutsu:He Yoshitadaa succeeded his master's technique. this Fuchikashira is beautiful black nice Nanako ji. and engraved bamboo trees and flying sparrows. 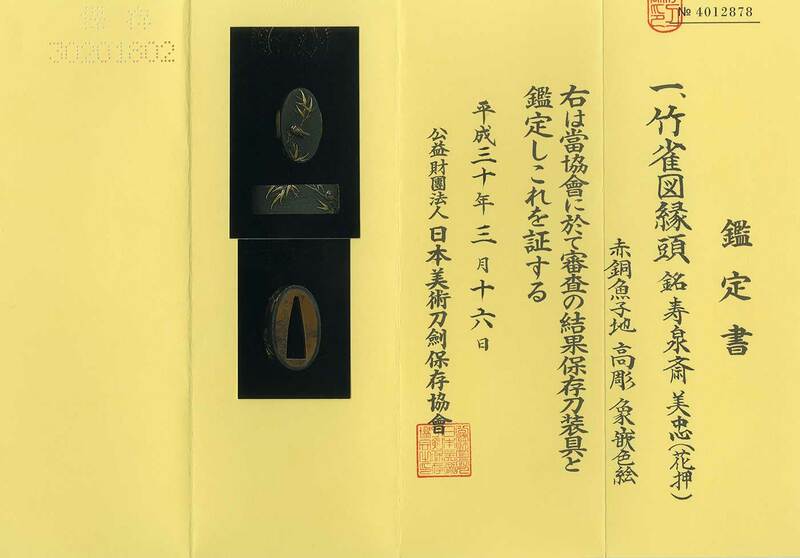 The Fuchikashira is high ranking engraving and nice condition.